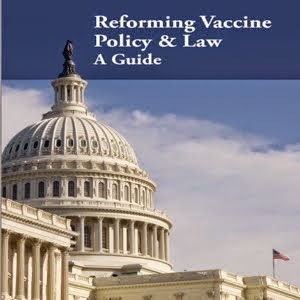 Vaccine Awakening: Vaccine Injury Compensation: A Failed Experiment in Tort Reform? I am a mother of two preschoolers – age 2 and 3. My husband is in the US Air Force and my kids attend the preschool on base. This year – 2008 – the US Air Force has mandated that all preschool kids take the flu vaccine. I am trying to fight it and get a waiver as I am a nurse and a clinical researcher and do not feel that the flu vaccine is in my kids best interest at this age. I have had no luck. I have gone to my congressman & senators but no one has done much for me yet. The USAF says they give waivers rarely but they are just ignoring me and the preschool is threatening to kick my kids out. Anyone have any advice.. I feel so helpless. I don’t really have other feasible/affordable options for childcare. I want to fight this thing.. for my kids and maybe other parents who just don’t know what to do…(I hear a lot of grumbling in the hallways about this but people are afraid of the Air Force and job ramifications). Measles can cause death and disability... Measels Vaccines don't?!!! "It is a tragedy that measles still kills more than 500 children a day when there is a safe, effective and inexpensive vaccine to prevent the disease"
I think we must send this woman some real info!!!! She seems to be in CDC/FDA LA-LA Land!!! I have 1o grandchildren.None of this as far as I know never happened when caring for my 5 grown children.I feel this is a horrible act for anyone to have our children to go thru.why would any adult take any chance with any one infant? ?I see they want to make $ but our children unborn at that,r unable to defend themselves!They cry-we as parents have no idea of what their telling us,this is all they can do-CRY-scream-telling us they r hurting & some of us say well scream then.NOT right. I challenge this 500 a day figure (In the U.S.A?) and I challenge the 'claim' that the measles vaccine WILL IN ANY WAY PREVENT the measles. It's very well documented that Measles deaths (from 1901/2, averaged) declined by 99.4% BEFORE the vaccine in 1968! VACCINES ARE NOT NEEDED TO PREVENT MEASLES. No matter how many wall street backed medical 'reports' and media 'spin Doctors' say they do. Dear John, you are absolutely right!!! The figures of the "measles outbreak" shows 51% of the children are vaccinated ones, so where does the protection of the vaccines come in play?!!! And 100% of this kids vaccined and non-vaccined are having the same reactions, same level of illness... I tell you it is all a fraud!!! Vaccines are this century's snake oil!!! I could not find a more direct way of contacting you than this. I really have to thank you so much! Thanks for being a brave voice and for taking action! I am so grateful to have found the truth about vaccines before my first child was born. I have 3 healthy unvaccinated children, and I desperately want to keep it that way! 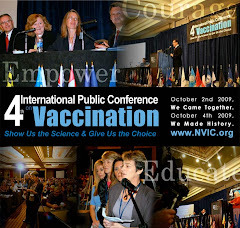 The fight against big pharma and vaccines is overwhelming! I have felt so small and so powerless most of the time, always knowing that something had to be done before we become completely stripped of our rights. Tonight I saw a video centered around vaccine injured and vaccine death victims, where you inspired so many to fight, to stand up. I believe so deeply in fighting for human rights, that I have been driven to begin my pursuit of a Law Degree. The main drive for my pursuit is the fight against vaccines. Thank you for giving me more of a drive. I sobbed so hard, begging God for the power to fight against this grave injustice while watching the video your son shot! I will never forget my mission, while I home school my children, take care of my family, and go to school for the next 6-12 years!! :D God willing, I will make a difference! Thank you so much! My brother was awarded a settlement under the VIC act several years ago. What sickens me is that the great state of Ohio will not GIVE my parents the $$, they put it in a trust and basically give them an "allowance" every month...and should my brother pass away, the state gets to keep the remainder of the money....nice huh? When you file a compensation claim for any personal injury that you have suffered, you are entitled to compensation. However, the compensation is not guaranteed – in the sense that there is a process of claiming involved which requires you to prove that you were injured through no fault of your own. The compensation amount too, differs from case to case and depends on a lot of factors. Understanding how compensation is computed will help you know what to expect.